LabLink Connection Products are used for the containment and connectivity of power, communication, data, air, gas, and vacuum services. These products provide versatile and functional solutions for many markets and applications such as research, private, and educational laboratories. 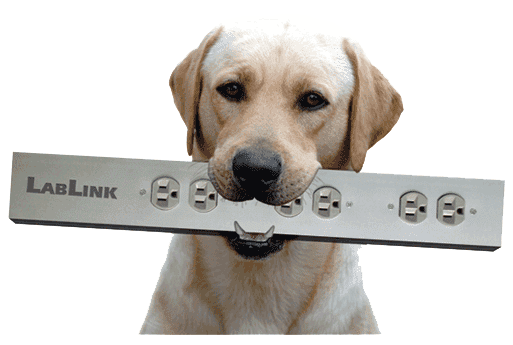 LabLink Connection Products are also installed wherever customized raceway connectivity is required. Most commonly, LabLink products are installed in laboratory spaces including university, medical, pharmaceutical or research laboratories. 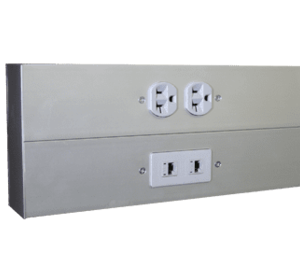 In addition to laboratories, LabLink Connection Products are also often installed commercially in data centers or offices. PG LifeLink specializes in providing flexible design options to meet your requirements. 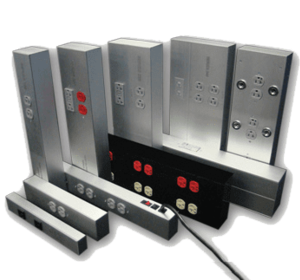 LabLink products are fully customizable, pre-wired and pre-assembled. This saves you valuable installation time while offering significant labor savings and eliminating on-site material scrap. Product offerings include Power Strips, Ceiling Service Panels, Service Pedestals, Power Poles, Overhead Service Carriers, LED LabLights, and Aluminum Surface Metal Raceway Systems (Versa-Duct). Connectivity products designed to fit all varieties of laboratory furniture and/or project specifications. 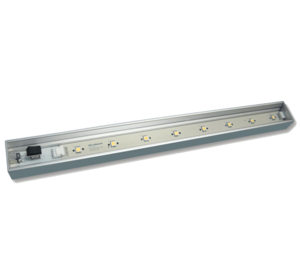 A streamline LED under shelf task light offered in various lengths. Pre-wired Versa-Duct Raceway combining electrical, data and/or communication lines into one system. 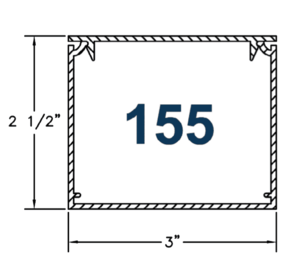 Versa-Duct Raceway materials are available in standard sizes with or without provisions (cutouts) for in-the-field wiring. 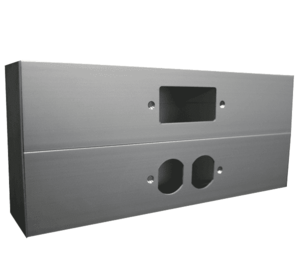 LabLink Series Sizes provide the dimensions of single, double and triple channel options.